Air temperature 35 degrees, water temperature 36 degrees…. 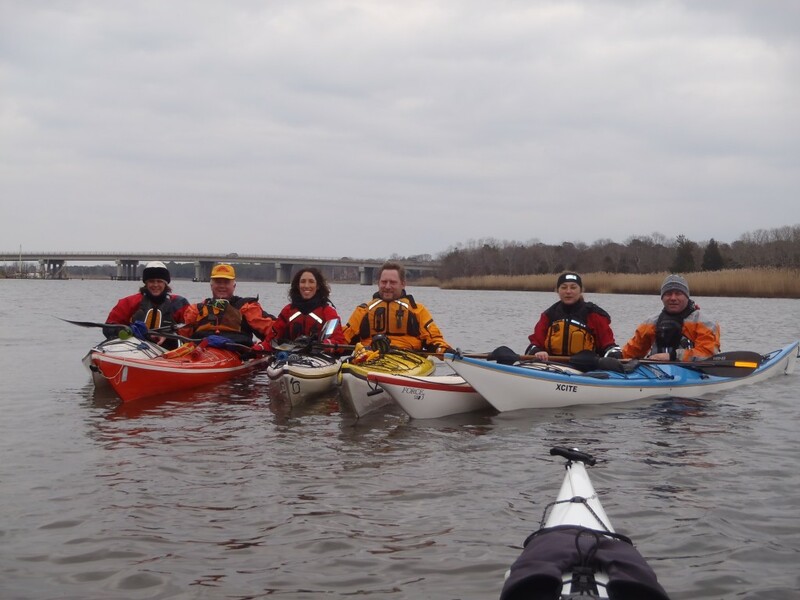 Did not stop a few brave NACK paddlers from hitting the water for an early afternoon jaunt down the the Peconic River and into Flanders Bay. After a brief equipment check and “burping” of our dry suits we launched from the Moose Lodge Marina and Yacht Club and headed across the river to a shallow estuary that terminates under Route 105. We ran out of water and headed back out and under Route 105 and into Flanders Bay. We paddled around for a bit and headed back into the Marina to warm up and enjoy some hot liquids. All in all a great day on the water with friends and fellow NACK paddlers.